When my kids and I studied the constellations during our space unit a while back, I looked around for Montessori constellation cards. I was not able to find a set that included all of the constellations I was looking for. So today I decided to create my own set of 24 Montesstori Constellations 3-Part Cards for you to use with your children or students. I hope you’ll find these solar system 3-part cards to be a good resource for teaching your kids about the sun, moon, and planets. Note: Find more solar system printables on my Space Unit Study page. For each constellation, there is a picture and label card, a picture-only card, and a label-only card. 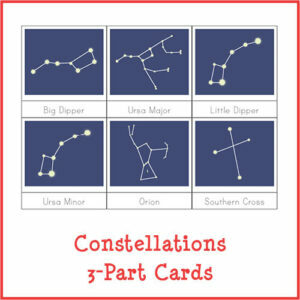 I have created two different versions of the Constellations 3-Part Cards. One version has white stars on a blue background to look like the night sky. The other version has grey stars on a white background to save on printer ink. 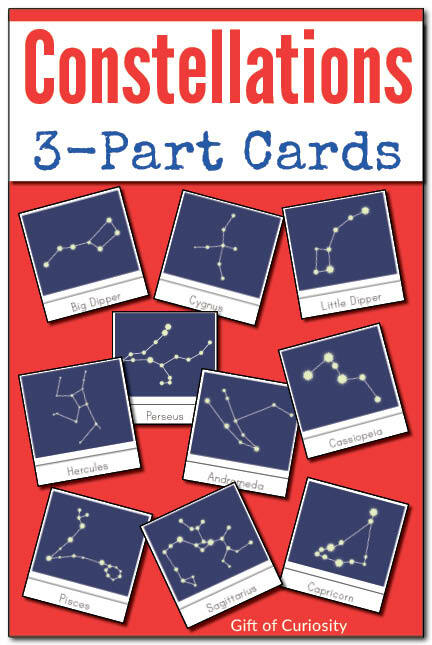 Want a copy of my Constellations 3-Part Cards? 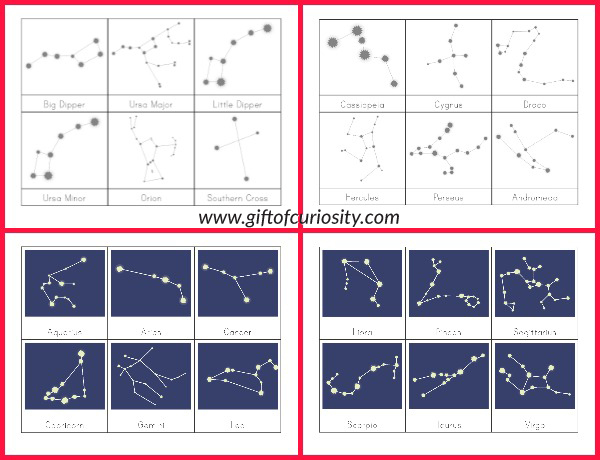 You’ll find more resources for learning about the stars and constellations on my Space Unit Study page and my Space and the Solar System Pinterest board.